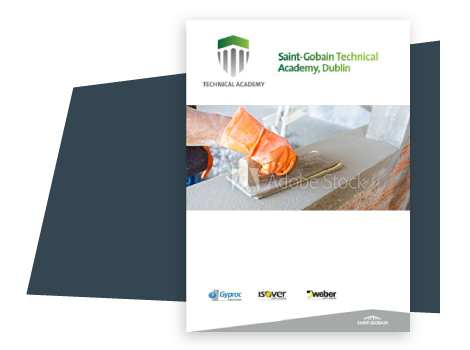 Saint-Gobain Technical Academy offers regular training courses to upskill and educate professionals in the theory, practice and application of systems for new build and retrofit. Courses, Certified CPD's and Practical Demonstrations are available on a wide range of construction industry topics. Turn overleaf to see a full list of our 'theory' based presentations and 'practical' courses. FULL, see next available dates.